I always feast on cold treats whenever I'm basking under the sun. With ice cream and fruit shakes as my staples when at the beach, I've received a handful of recommendations to try Coco Mama in Boracay. However, I never saw its store after being there for 4 days. And I wouldn't have thought that I'd be trying it for the first time in... Manila. 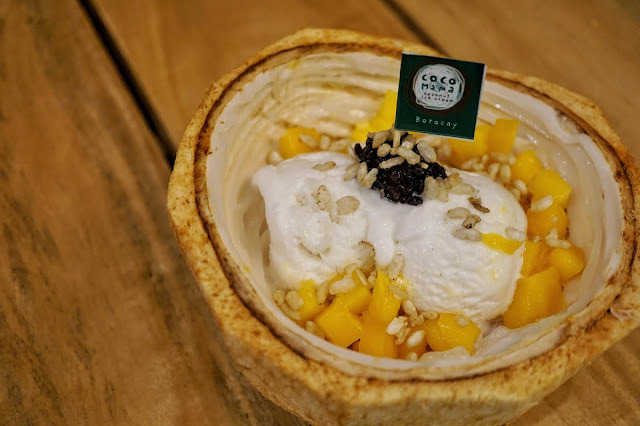 This popular ice cream joint from Boracay is known for its coconut ice cream. 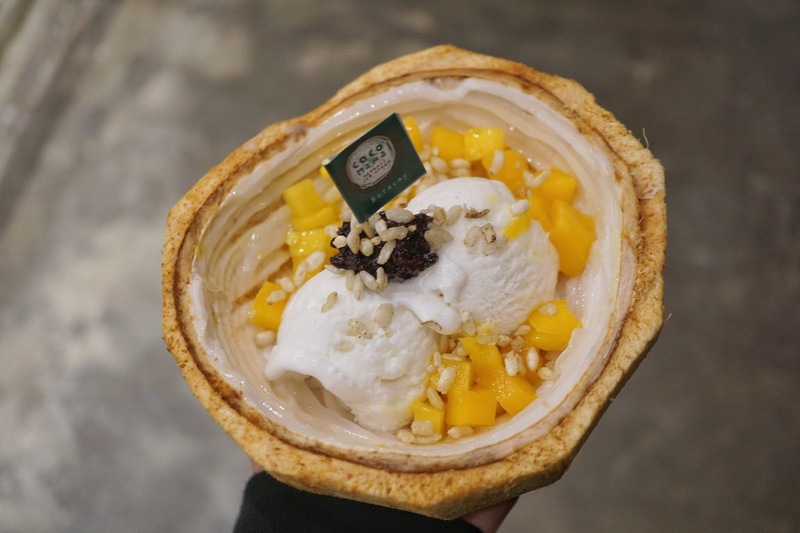 It being vegan, non-dairy, lactose-free, gluten-free and having low glycemic index makes this an in demand dessert to most foreign visitors who are more particular with food. I have to admit, finding out all those properties didn't sound too tasty to me. But lo and behold, it was actually really good! 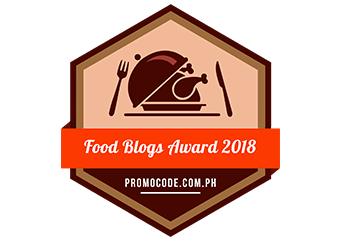 Imagine the classic ice buko stick but creamier. That's pretty much what Coco Mama offers. Each spoonful is light and refreshing. I now understand why it became a hit in Boracay. 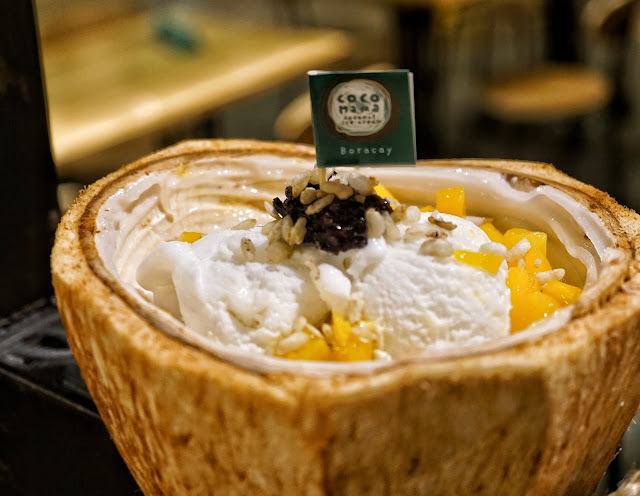 Do try Coconut Ice Cream with Mango (PHP140) for that nice blend of fruity flavors. It also has a bit of sticky rice and coconut shavings for texture. I can't wait to have another serving or two soon! 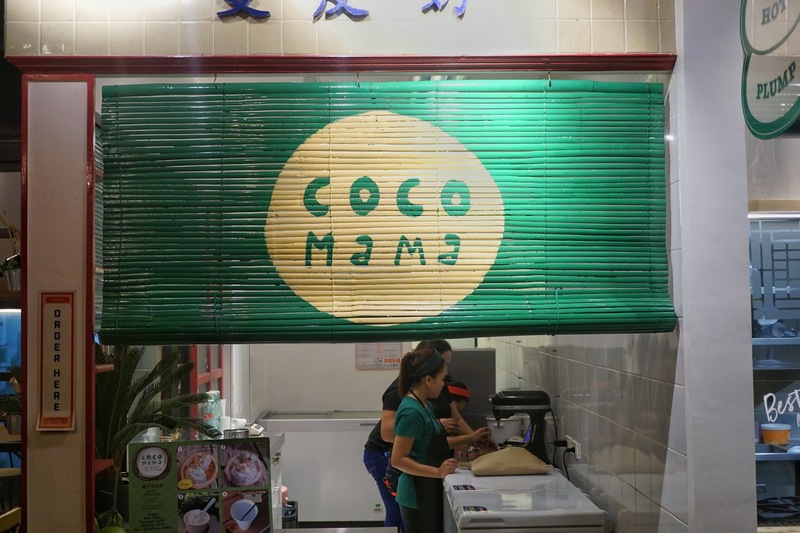 Coco Mama is available at Hole in the Wall, 4th Floor, Century City Mall, Kalayaan corner Salamanca, Makati City until August 15, 2018.